The open, or incisional, technique is a very common operation performed on many patients, mainly due to its traditional methods, as well as its compatibility to a wide range of patients. 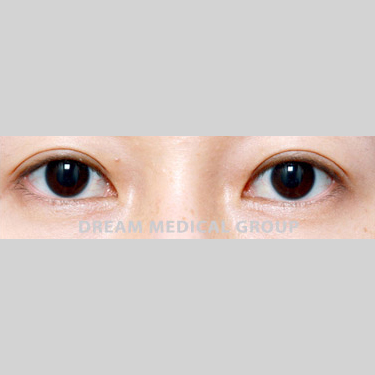 There are two reasons a patient may undergo the open technique double eyelid surgery. The first reason is that a patient may have excess upper eyelid hooding, or very thick-skinned eyelids. The second reason is that he or she may have inadequate eye elevating muscle function, such that a suture technique would not hold the crease effectively. The open technique has made several landmark advancements very recently, all of which were absent in the traditional technique. The major drawbacks of the traditional technique are visible scarring and chronic swelling within the crease. The traditional method does not implement scar minimizing techniques, which are crucial for natural results without swelling. Scar tissue formed is what causes chronic swelling, making the eyes appear unnatural. Unfortunately, many surgeons today still perform the open technique using traditional methods. 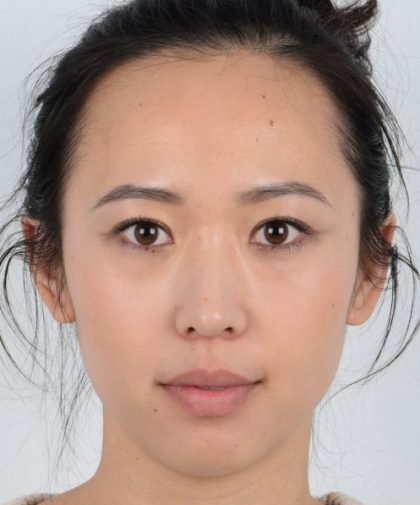 Dr. Kim has thoroughly researched the newest techniques, and performed many operations to produce results with minimal scars and no swelling. 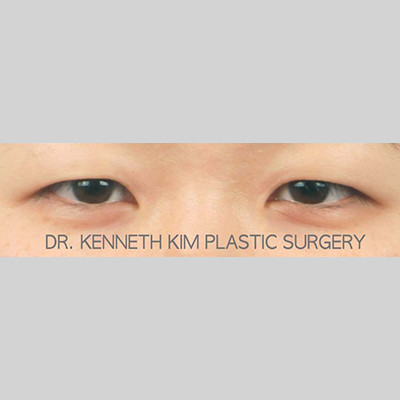 Dr. Kim utilizes a durable and elastic underlying eyelid structure in order to anchor the crease line. 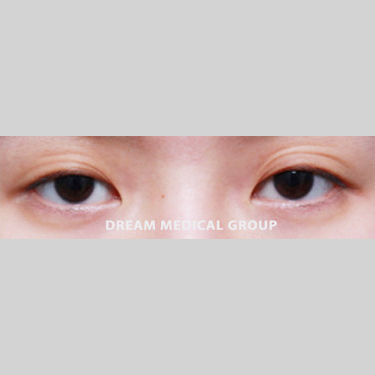 This way, the incision line appears natural even with eyes closed due to lack of depression on the eyelids. Dr. Kim has a detailed understanding of the eyelid anatomy, including the mechanics of the eyelid muscles and beyond. 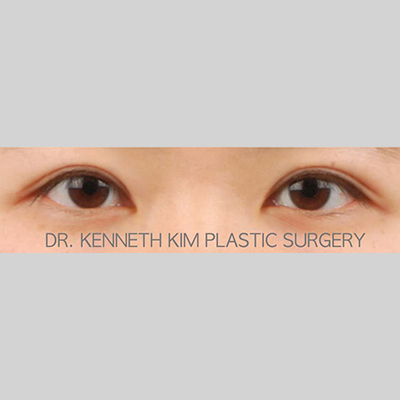 This understanding, combined with his aesthetic sensibility on the features that best complement his patients, has enabled Dr. Kim to produce eyes that appear natural and elegant with the new open technique. This earlier technique involved suture fixations to the tarsus. The tarsus is a cartilage located between the levator aponeurosis and the eyelashes. As a cartilage, the tarsus is rigid unlike a muscle, and lacks elasticity that is required for a dynamic eyelid crease. Therefore, placement of fixations on the tarsus was problematic as the crease appeared static and unnatural. Static folds are constant and visible even when the eyes are closed; they lack the dynamic eyelid fold movement where the fold forms when the eyes open and becomes relatively faint as the eyes close. Tarsal fixation was the first incisional double eyelid method used due to the simplicity and ease of making a fold. Unfortunately, because of the ease of this technique, it is still being performed despite its unsatisfactory results. The earlier tarsal fixation technique later transitioned whereby surgeons began using the levator aponeurosis as a base for suture fixation. Anchoring onto the levator created a more dynamic fold; however, the fold tended to be unnaturally high and deep. Additionally, due to the deep-set location of the levator, instances of chronic swelling on the eyelid occurred. 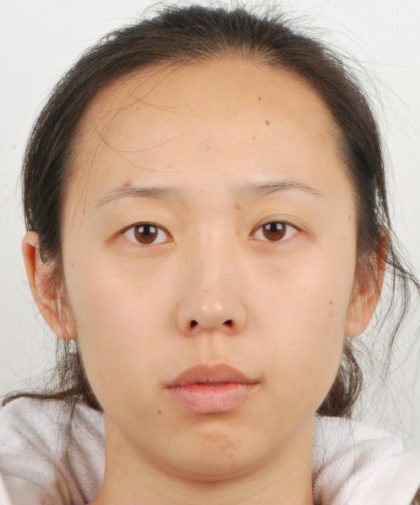 Although levator fixation did yield more elasticity to the double eyelid crease relative to the tarsal fixation, it still did not achieve the ideal dynamicity observed in natural double eyelid folds. The surgery takes place under local anesthesia, with or without oral sedatives. The duration of the surgery is approximately 60 minutes. The skin stitches will be removed 4-6 days after the surgery at our office. The critical swelling will subside in 1 week, and the remaining swelling will gradually subside over the next 8-12 weeks.